Sabali Ent Film Festival - This Thursday! 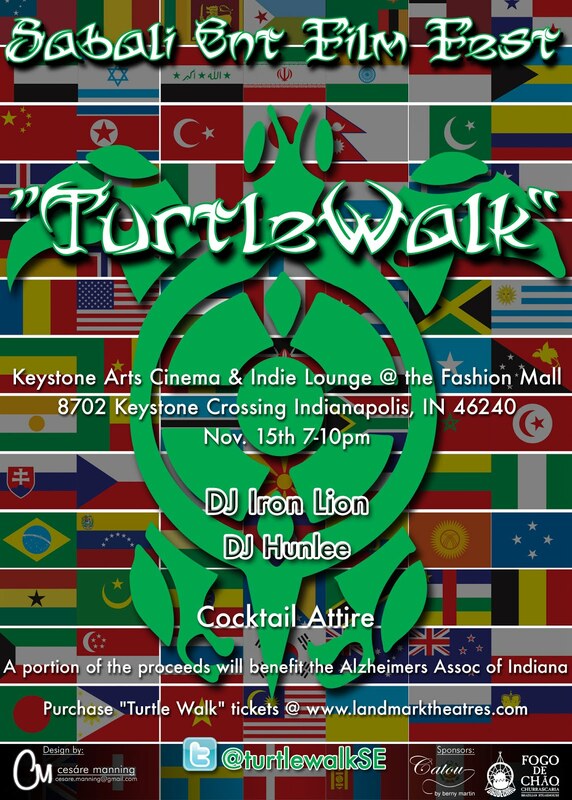 Sabali Ent will be presenting a Film Festival "Turtle Walk" Thursday, November 15th, 7PM - 10PM. 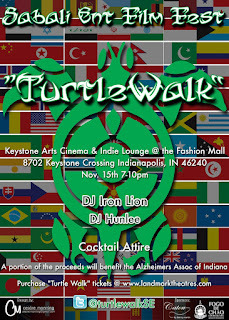 Cocktail attire preferred and will have a red carpet and photos taken of select guests upon arrival. This is a Community Art Project, FREE to attend and any monetary contributions made will be donated to Alzheimer's Association of Indiana. There will be three Musicalmentaries shown at various times. There will be networking, a business card exchange and the option of listening to music at the Indie Lounge by two different DJ's (DJ Hunlee and DJ Iron Lion). People that are into fashion, music, art and the indie movie scene will especially find this event entertaining. If you would like to RSVP, email the address christopher@sabalient.com and place "RSVP TurtleWalk" in the subject header. 5 Tops That Will Top You Off! Cyber Monday Deal: Redemption Boutique 40% OFF!! Eva Marcille x Koshie O.
Rihanna Sets Bar For New Androgynous Look! AMA Fashion Trends and Images! Balance of the Mind, Body and Soul! The Kardashian Kollection Launches In London! Spoiler Alert: Victoria's Secret Fashion Show! Rob Kardashian's Arthur George Is In Stores!! Da Brat Supports Saving Our Daughters! The Top 10 Workout Songs For November! !